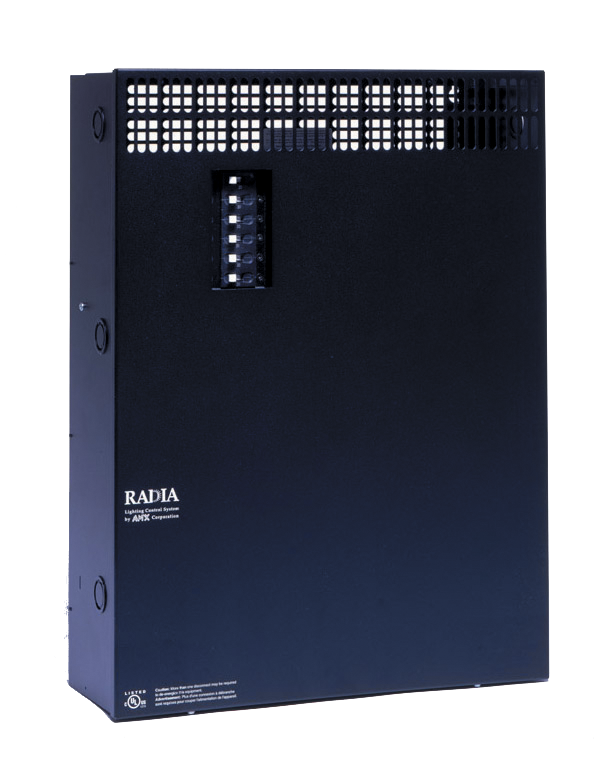 The RDA-ENC6B enclosure provide secure mounting for AMX Lighting and PROLink controllers, and lighting modules. 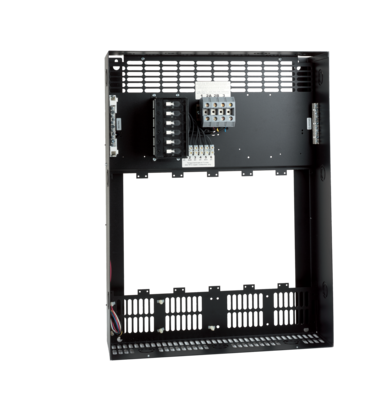 The enclosure also contain 6 circuit breakers. 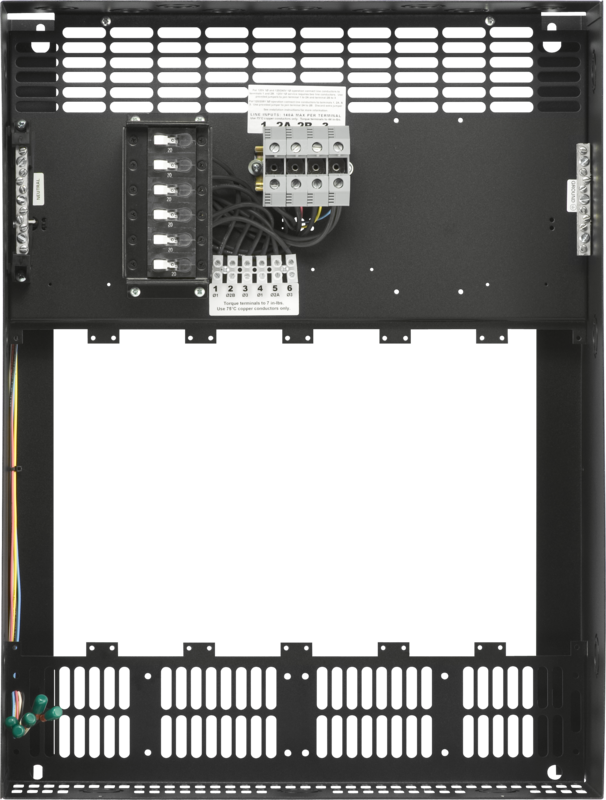 This enclosure is CE, UL, and C-UL approved. 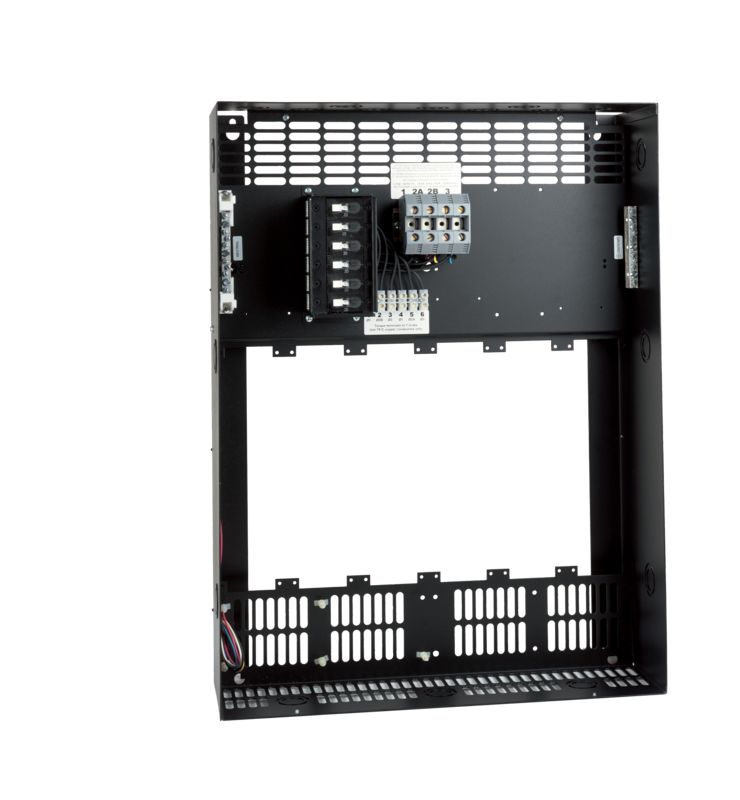 It includes circuit breakers and terminals for multi-phase wiring. It also provides 18 knockouts for 1/2", 3/4", and 1" conduits.